Suitable for determining the resistance to thermal shock in accordance to the UNI EN ISO 10545-9 European norm (ceramic tiles). According to the norm, each sample must undergo 10 heating and cooling cycles. 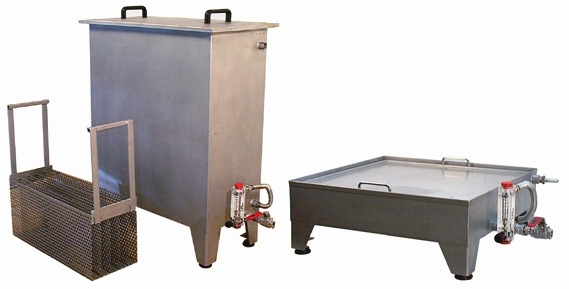 The sample must be heated in a thermostatic stove (see the various models in section S) and cooled in accordance to two methods, depending on the water absorption of the samples examined. Tiles with a low porosity (water absorption of less than 10%) are immersed in water (VR/50/A tank). Glazed tiles with a water absorption of over 10% are indirectly cooled without immersion (VR/50/B tank). Mod. 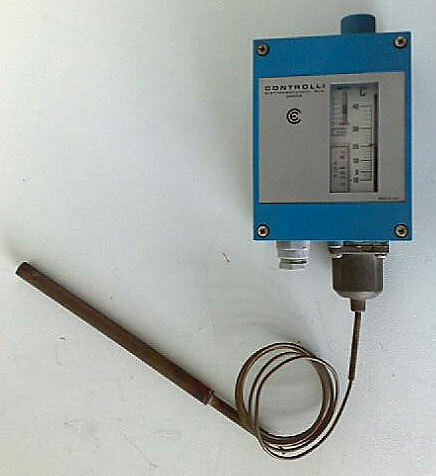 BU 4462: Scale -50:+1200 °C for K (Cr-Al) type thermocouples. Size 46x98 mm, depth 110 mm. 7 red segment LED display, height 15 mm. ADJUSTABLE DIFFERENTIAL PRESSURE SWITCH MOD.B301 2 R3. Pressure regulator for fluid with temperature from -5 to +50°C. 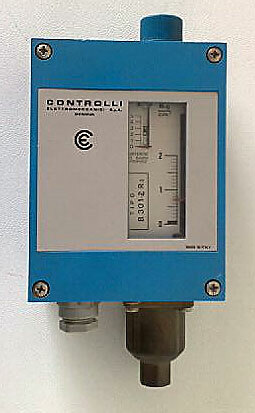 Scale +1000/+20000 mm/H2O, adjustable by means of knob and visible reference index on a graduated scale. Differential field (or proportional band) from 500 to 3000 mm/H2O, adjustable by a screw, with visible reference index on graduated scale. Normally used as minimum and maximum pressure switch. The fluid requiring pressure control must not be aggressive. Electric supply 230V single-phase 50Hz. Overall dimensions 100 x 70 x 230 mm. Electric temperature governer scale -10+50°C. 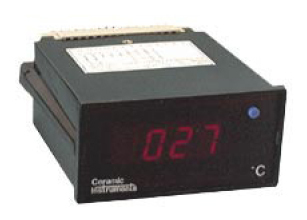 Knob-controlled working temperature regulation with reference index visible on graduated scale. Differential field or proportional band, adjustable by screw and with reference index visible on graduated scale. To be installed in environments with non-aggressive atmospheres for coppe and zinc alloys. Capillary lenght approx. 2000 mm, bulb lenght 180 mm, diam. 12 mm.